To shoe or not to shoe? Depends on the horse and the situation. What Determines If a Horse Is Better Off Barefoot? If you start with a horse with great hoof and leg conformation, let the horse forage for most of its feed, limit the horse's workload, and make sure you prevent excess or abnormal hoof wear and injury to the foot, your horse may be able to live safely and happily without shoes. Your farrier can help you determine if your horse will be better off going barefoot. A competent farrier can help determine if your horse will be better off barefoot. Some farriers like to see horses going barefoot for at least part of the year. If going unshod is a healthy option for a particular horse, and if the horse's activities and workload allow maintenance of healthy hooves and joints without shoes, this can be a viable option. Just remember that a horse's feet need to be checked and the hooves trimmed approximately every six weeks to keep them even and to prevent breakage. 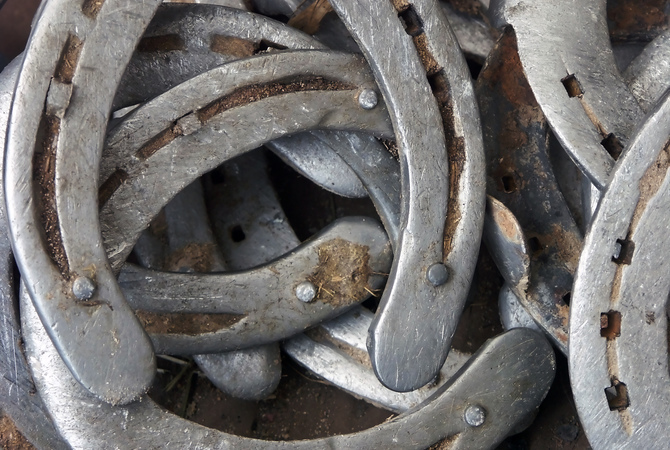 Horseshoes have been described as a necessary evil, brought on by circumstances that limit the availability of the horse's natural exercise, stabling conditions, and other factors involved in the domestication of horses. 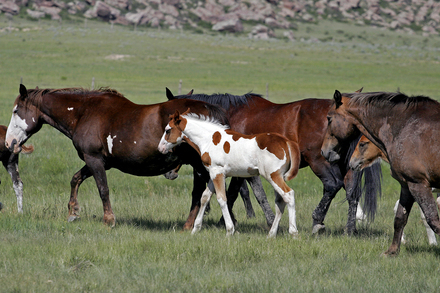 Normal activities of wild horses wear hooves to a smooth, even, hard state with a thick sole. Wild horses walked and grazed continuously over a wide range of terrain that had never been plowed or paved. Their hooves were worn to a smooth, even, hard state and the continual stimulation of the sole of the foot caused it to become thick. Now, our horses do not traverse distances to forage for feed. 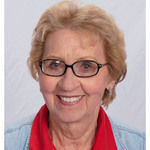 They live on irrigated land, arena footing, and stall bedding, walk on asphalt or concrete roadways, and have lost some of their original strength and conformation through breeding. Without the natural conditioning that occurs in the wild, the feet of most domesticated horses grow overly long and become fragile and soft. Sometimes, a diet that is not properly balanced contributes to additional foot and hoof problems. Originally, horses developed in arid climates, but when they became domesticated they were moved to wetter climates and farming areas. Softer, heavier soils, and wet pastures soften the hooves and make them prone to splitting. Consequently, the use of horseshoes became the norm in northern Europe and has spread around the world. Horses that are kept in stalls or small turn-out areas are constantly exposed to urine, which contains ammonia. The hoof wall, which is composed mostly of keratin, is weakened by this exposure. Although shoes do not prevent damage from ammonia exposure, they reduce wear on weakened hooves. Domesticated horses are subject to work, stable, and management conditions that are much different from the horse's natural habitat in the wild. In addition, horses have been bred for size, speed, and other traits, without paying attention to hoof quality and soundness. Many domestic horses have bone or musculature problems in their legs that are helped dramatically by corrective or therapeutic shoeing. Many horses race or participate in show and competition events. The training involved and the events themselves create stress in the hooves, legs, and joints because of concussive force. Properly designed shoes help alleviate the stress and protect the legs and hooves. Experience has shown that horses can pull more weight, run faster, jump higher, and maintain a better gait when correctly shod. A competent farrier can prescribe the best shoe for a horse's particular activity, including screw-in shoes, sliding plates, race plates, and heel calks and toe-grabs, depending on the event and the horse's individual needs. Many domestic horses have bone or musculature problems in their legs that are helped dramatically by corrective or therapeutic shoeing. The diagnosis of the problem by a veterinarian or farrier can make a huge difference in the life of the horse and those who care for it. Proper shoeing and trimming are an integral part of the treatment of orthopedic diseases, such as laminitis, navicular disease, contracted heels, ligament injuries, and tendonitis, as well as sand cracks, flat feet, corns, sole bruises, and other painful and stressful diseases and conditions. Does your horse have tough, smooth hooves that are not deformed in any way? Is the horse's conformation good, without any bone or musculature problems? What kinds of activities is your horse involved in and is the work load heavy or light? Does the horse get plenty of exercise and forage time? Does your horse have any diseases or conditions that might make shoeing necessary to relieve pain and/or stress? Talk to your veterinarian and farrier. They will be able to address the important factors and circumstances and help you make a decision that will be best for you and your horse.